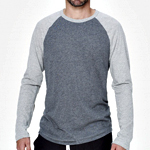 What: It’s an extra-soft James Perse baseball tee. Why: Because the Rangers’ home opener is Friday and, by definition, this is a baseball shirt. Also see: playing softball, sports-bar attire, being comfortable. 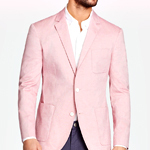 What: A lightweight, Italian-cotton, unconstructed blazer that’s just the right amount of pink. Why: For wearing to Lone Star Park, where you can place bets, drink juleps and field compliments directed at your torso. 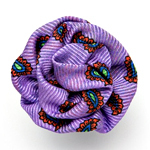 What: A silk lapel flower that’s lavender and doesn’t shoot water. Why: Flowers are always a nice touch on Mother’s Day. Either the real kind or the fake kind on your lapel. 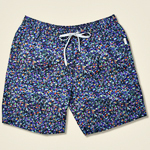 What: A colorful mosaic that upon closer inspection is... yep, still a pair of swim trunks. Why: One day soon, you may be forced to lounge poolside with a daiquiri in hand. Or perform a cannonball. Or do both in some natty trunks. Let these be they. What: A versatile white leather sneaker from Common Projects. Why: Maybe you’re walking the fairways at the Byron Nelson. Maybe you’re watching from home. Maybe you hate golf. Maybe you’re on a boat. We don’t know. But we’re betting you wear shoes.